Point a web browser to https://youtube.com. Click the “SIGN IN” link in the top right corner. In the usual JCCC log in form, enter just your JCCC user name, and the usual password. What you enter in the Google “Email or phone” field in Step 4 will look like an e-mail address — because it is one. 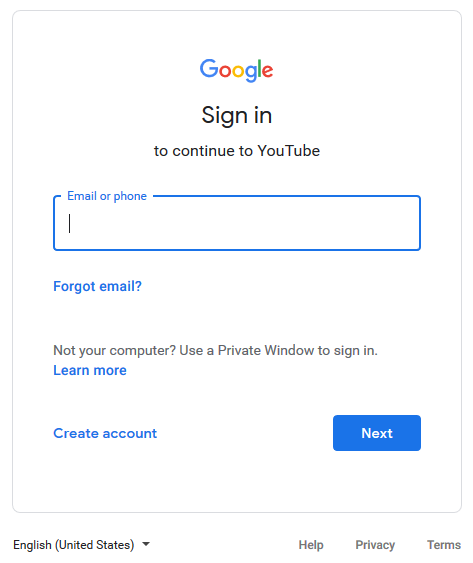 Once you’re signed into YouTube this way, you can also access other Google services tied to this address, including a Gmail account, and unlimited Google Drive space (to be used for college-related materials only). 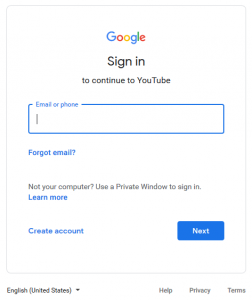 If you are regularly signed into another Google account on the same device, you will need to pay attention to which of the accounts is active in order to keep your personal and professional materials in the proper account. JCCC provides equal access to individuals with disabilities as mandated by the Americans with Disabilities Act. This site is a guide for faculty members to understand how they can best participate in providing equal access to their students.